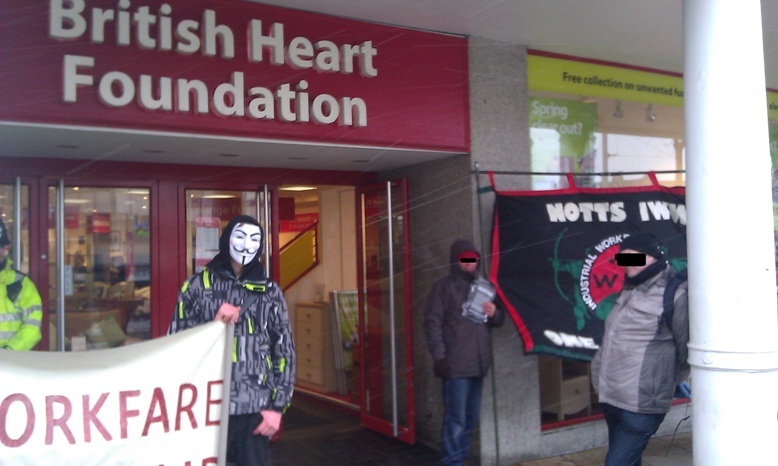 On Saturday September 30th, a group of anti-workfare activists took to the streets of Nottingham to picket some of the corporate workfare profiteers and to highlight why workfare (work for benefits) is such a dangerous idea. Both charities and high street shops are benefiting from free labour organised by job centres and third party providers (who also take a cut). 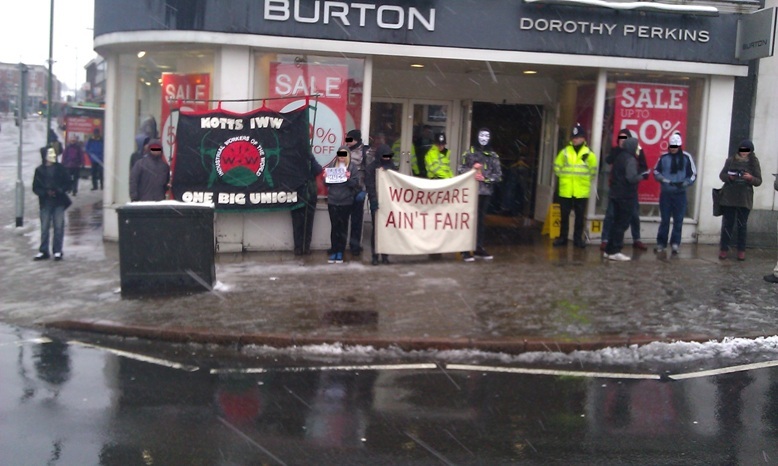 Activists visited Burton, Barnardo’s, Primark, Greggs and Superdrug with a banner, sound system and flyers. would be pulling out. 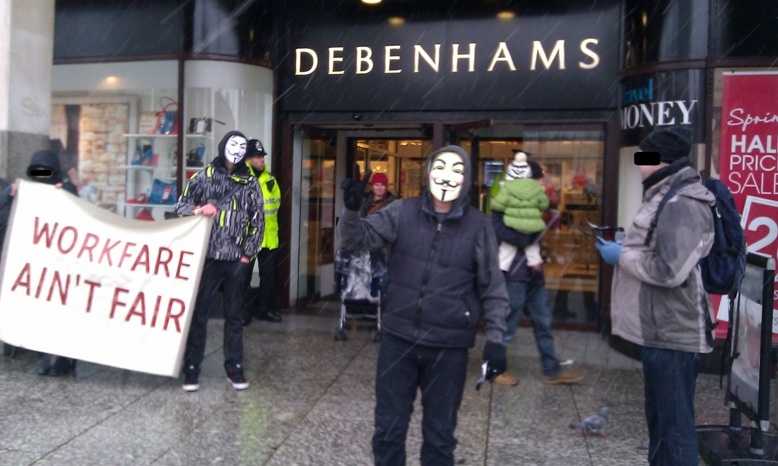 A big shout out goes to SolFed who organised pickets of Holland and Barrett all over the country. 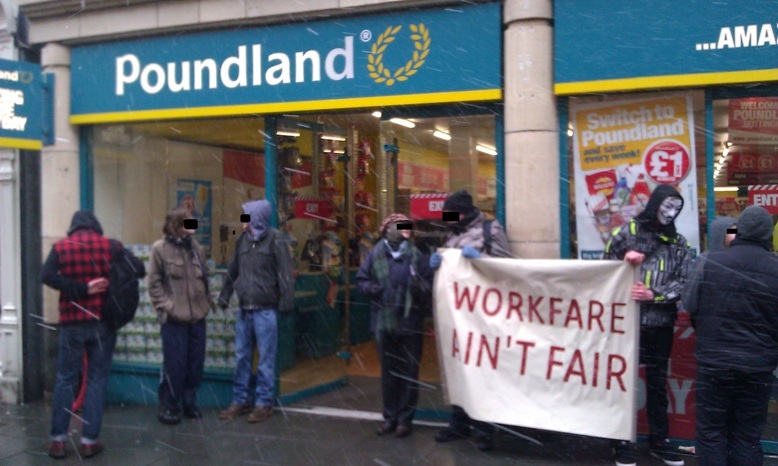 charities in workfare’ blog coming soon on the Boycott Workfare website. coming soon too and pressure on corporate companies will continue!